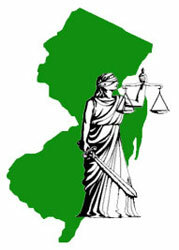 New Jersey’s Advisory Committee on Professional Ethics and the Committee on Attorney Advertising released a joint opinion dated March 25 that states that even when an attorney hires a virtual assistant or receptionist or shares a rented office space for conferences to attempt to create an office presence in the state, this does not create a “bona fide office” that complies with the state’s residency requirements for practicing law. This opinion limits attorneys licensed in New Jersey to having a physical law office where clients may call during regular business hours. Such restriction on business discriminates against many solos and in particular women attorneys who may need to practice law from home, but for personal and security reasons, they do not want to provide their home address or phone number to clients. The opinion refers to “virtual offices” but defines them as “a type of time-share arrangement whereby one leases the right to reserve space in an office building on an hourly or daily basis” and does not address web-based, virtual law offices or the use of technology to deliver legal services online. From the discussion in the opinion it may be assumed that any law practice without a physical, dedicated office building would be included as violating Rule 1:21-1(a). How this restriction will affect solos and small firms wanting to form completely virtual law offices is yet to be seen. However, the joint opinion does allow for attorneys with traditional law practice to also operate virtual law office with adequate notice to prospective clients of the firm’s physical office location. This does not sound like it protects the solo practitioner wanting to operate a home-based virtual law office. Or an attorney located in another state who is licensed in NJ and wants to provide NJ legal services through their virtual law office. I can understand that not every law practice is appropriate for a virtual law office. Criminal defense would be a good example of this. Other litigation-based practice areas or practices with a client base that is more traditional and requires many in-person appointments with the attorney and support staff would be best suited with a brick & mortar office building. However, there are many areas of practice where a virtual law office is an advantage to the clients that they serve. Clients in remote areas, clients with young child, clients who cannot afford to take time off work to get to the attorney’s office — there is a significant segment of our population that needs the flexibility that the virtual law office provides. They need to be able to communicate with an attorney outside the normal business hours and from a location that is convenient for them to do so. Since the joint opinion was published, other attorneys, including Carolyn Elefant over at MyShingle.com, have written about how the rule may discriminate against women attorneys who practice law from a home office. As a mother who practices law from a virtual law office usually from her home office, I can certainly imagine how enraged and threatened some of the women attorneys in NJ must feel about this. Yes, the concern of the joint committee is for the general public. But it seems to me that they must be a bit out of touch with what consumers need. The general public has been turning more frequently to less traditional methods of seeking out legal services. Many of which are not as safe as a professional virtual law practice with attorney guidance and review of legal matters. And that’s how we probably get to the crux of the matter. This isn’t about protecting clients at all – because many of them actually want flexibility in their legal services and in working with their attorney. It’s about a certain group of attorneys – let me harken back to my master’s degree that focused on 20th century revolutions and call them the “old regime”. This old regime wants to protect their traditional ways of operating and their market share. Their methods may protect a large segment of the population that needs traditional legal services in a traditional law office and protect the attorneys who are able to put in 80 hour weeks in a brick & mortar law office with billable hour requirements. However, it puts an unnecessary limitation on a whole segment of our public who are looking for affordable and convenient access to justice which is what a virtual law office provides. Furthermore, it limits innovation in the delivery of legal services. And the chilling effect that has deters real talent and entrepreneurship from entering into our profession which does a disservice to ourselves and the public we serve. Not every client or legal matter requires the same type of delivery of legal services. Having options does not mean lowering standards or quality, it just means being realistic about what the general public needs — greater access to justice. It seems from their opinion that a home based office can qualify as a bona fide office under the rule but a “virtual office” does not. The rule is violated if the office is embedded within a nonlegal business office. These definitions of how the bar defines “virtual office” as a time-share arrangement seem to run counter to other floating definitions of “virtual office”. This is also part of the problem. I am troubled how this is being argued as an anti-woman ruling. I think it hides the truth – a home office is fine. A home office is defined as a dedicated space, and if the stay at home and work mom doesn’t want to give out her phone number or address, then set up a separate phone line, and use a PO Box for mail. Seems pretty simple. That’s exactly what I do with my own law practice, Brian. I have a separate phone number and a PO Box, but I’m not always available during traditional business hours – neither are my clients. I think one problem, as Judy mentions above, is with their definition of a “virtual office” and what that encompasses. The way that the opinion seeks to restrict law practice seems anti-competitive. I think lawyers need to take a step back and understand that state Bars don’t enforce every rule to the letter of the law, and that this is merely an opinion. There will not be a “bona fide office van” driving around to check on moms working from home. @ Brian. Your comments are true, however for those of us that are risk adverse there should be a clear-cut answer that we will not jeopardize our practices.